We know just how hard it can be for business owners to maintain their fleets. From wear and tear to crew members running from place to place, we aim to make maintaining your Hino trucks as easy as possible. Here are some of our top tips for keeping your landscaping vehicle in tip-top shape all season long. We get it, landscaping can be a dirty business. Lucky for you, this isn’t plumbing! From carrying mulch to rocks, dirt and dings become commonplace. To keep your vehicle working as best as possible, we recommend keeping the truck clean. Detailing your truck doesn’t have to be a black tie affair. Hosing your trucks down at the end of each day can prevent dirt and debris from getting stuck in wheel wells, between doors, and engine compartment. As-needed, we would recommend a full wash and detail to deep clean your vehicle’s fabrics and surface areas. Nothing is worse than the smell of month-old mulch and mud when you step up into your truck at 5 AM. To get the job done right, it can often require specialized tools. On the flip side, think about the tools that often don’t require specialization. Do you have three different rakes that all have the same purpose? How about shovels? Minimizing the number of tools and accessories onboard can make your truck more organized, and make finding the tools you need easier when you’re in a rush. Having fewer tools onboard also makes it easier to clean up at the end of the day, with fewer things to put away and account for. Leave clutter behind and don’t carry excess items that serve no additional purpose. When considering power tools, look to those that make less of a mess. Often times, we have customers that use bagged mowers/mower bags to minimize mess both on the job and in their trucks. Planning ahead when purchasing equipment can save you time (and money) when you’re using them. Why have your crew working to tidy if that step can be prevented entirely? Nothing is worse than having to show up late for a job or reschedule, plain and simple. Regular and preventative maintenance can help you keep your crew on the road without missing a beat. With Hino vehicles, you’re protected by one of the best commercial truck warranties out there. Keeping your Hino running smoothly is easy. New Hino trucks include the Hino Preventative Care plan. This gets you one year of scheduled maintenance (or 50,000 km). We take care of oil changes and chassis lubrication for years 2 and 3, up to 150,000 km. This way, you can rest easy knowing that the most commonly skipped services are being taken care of. All you need to do is bring the truck in and our service team will take care of the rest! 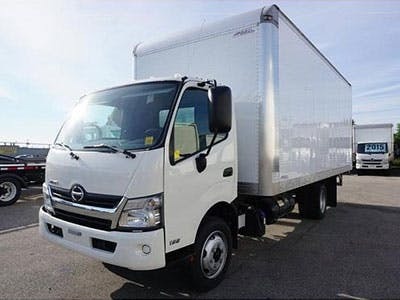 You’re also covered by a 3-year parts warranty on genuine Hino parts so that you can work hard without worrying. Ready to find your next truck? 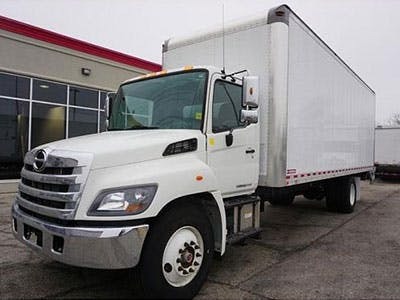 Shop our current new Hino inventory today. Our team of experts can help you lease or finance a truck, as well as find the right customizations for your landscaping business.